My closest comparison to this sleepy town is the Dalhousie trip I made five years ago. 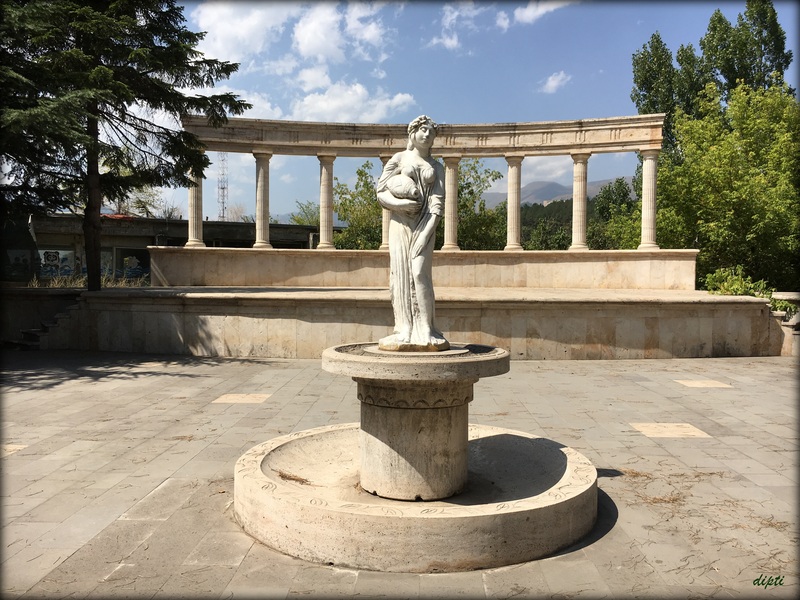 The August weather of Yerevan was getting a little too hot to be out and about so we weighed our options and decided to drive up to the cooler climes of Dilijan, a little town about an hour from the capital. En route, we stopped at Lake Sevan. The dad took charge of entertaining the boy by the waters and I made a short trek up to Church Sevanastek. The route upward was dotted with pomegranate trees. Pomegranate trees galore!! (If you didnt already know, seeing fruits on trees make me go berserk). These fruits are symbolic to Armenians and every souvenir shop I’d come across had something and everything on pomegranates! Church Sevanastek is archaical and beautiful but what makes it stunning is it’s position atop the hill. It is situated amidst a lake and over time, has risen over. The view from the church was incredible, to say the least, despite the hot sun that hovered over me. I can’t imagine how much more pleasing it would be in cooler weather. I made it to base in 27 minutes. Yes, I timed it- and time management is essential when a toddler is part of the travel picture. We eventually reached Dilijan late afternoon and checked into, what we realised much later, the popular Tufenkian Heritage Hotel. 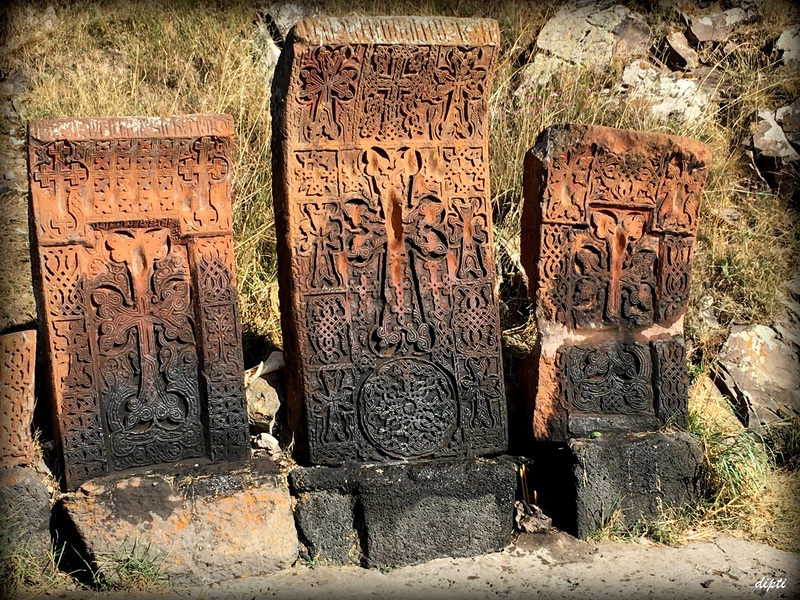 Now I don’t mean to advertise a hotel but our Tufenkian stay in Yerevan was so pleasant that we looked up online and saw that their presence in Dilijan so made an impromptu booking the day before heading there. What we didn’t realise is Tufenkian Dilijan is a heritage hotel – that is, the historical site was bought over by business magnate James Tufenkian and restored into a hospitality area. We were put on the ground floor and over our first evening, window-watched tons of passing tourists stopping to take pics of our building. With a restless 18 month in tow, Dilijan may just be the place to relax with a pint of Dilijan (side note: cheap and cheerful)! 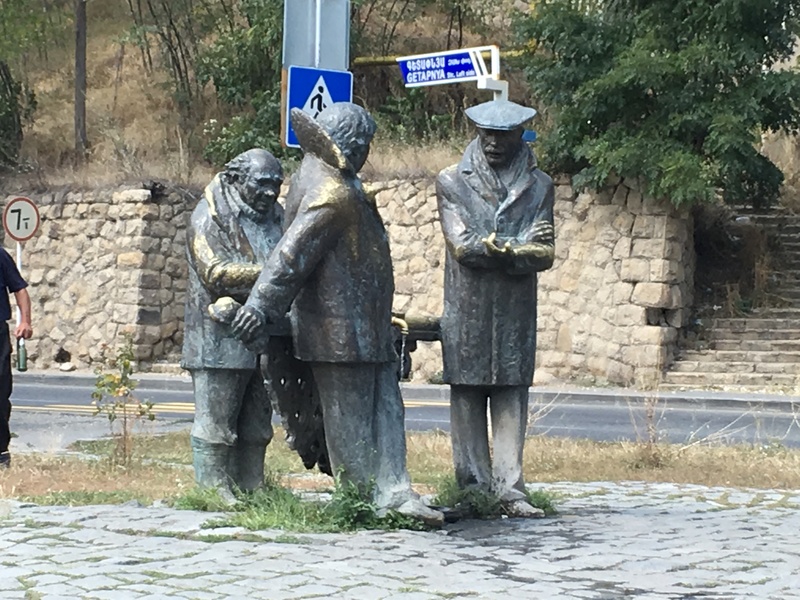 However, if you are looking for a lot more activity, I’d suggest staying put at Yerevan. 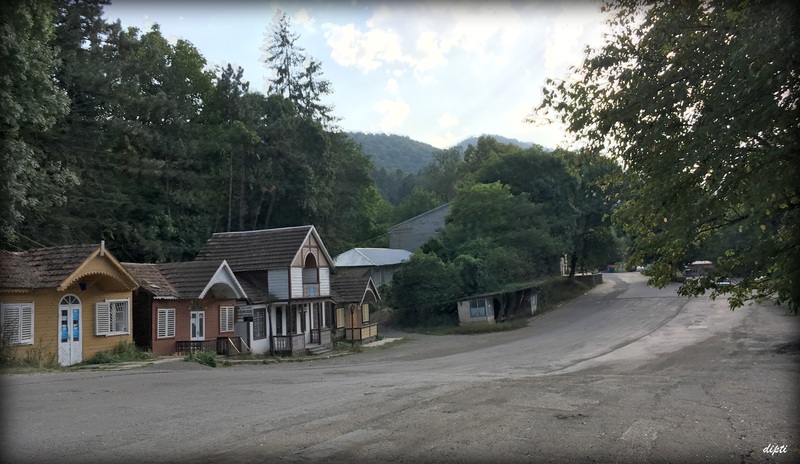 The town had nothing much to offer but we spent a couple of hours driving up to Park Dilijan – a nice place to chill, perhaps even do some adventure sports if you are around earlier in the day. I took a walk to the town square one late evening to search for the nearest grocery store but hurried back as it was fairly deserted despite being a weekend (I would add though that seems like a pretty safe place). On Day 2 of Dilijan, we asked to move to the first floor of the hotel which had a balcony and a better view. Sitting out, we were witness to an ‘Armenian pop video’ shoot taking place in front of our hotel! With at least 25 retakes of the song, it still rings in my head. The town also me an opportunity to savour two lovely Armenian dishes – Borani, a pumpkin-chickpea soup and Gata, a warm pastry served with a scoop of yougurt. Delicioussss, to say the least. As I look back, Dilijan was a great place to relax and bond as a family.